Holodomor (1932-1933) was a man-made famine imposed by Stalin’s Soviet regime. It was an act designed to undermine the social basis of Ukrainian national resistance that killed over 10 million people. 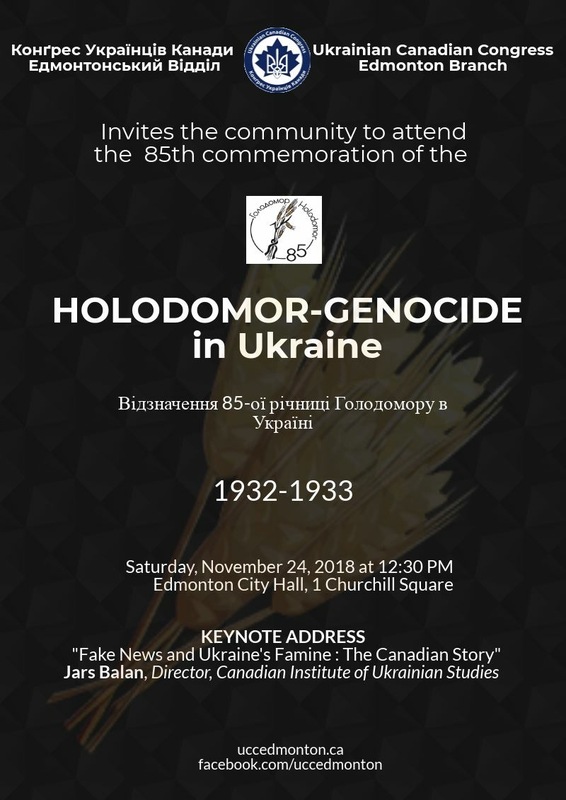 This year, the Edmonton Community will gather to commemorate the 85th Anniversary of “Holodomor” – Ukrainian Genocide that occurred in Ukraine during 1932-33. This is one of the most heinous crimes in the history of mankind, it was the result of a deliberate political strategy masterminded by Stalin and his totalitarian communist regime. At the height of the Holodomor, people in Ukraine were dying at the rate of 25,000 per day or 1,000 per hour or 17 per minute. 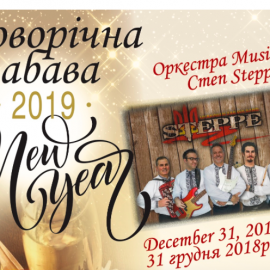 The Ukrainian Canadian Congress believes it is vital to ensure that this tragedy is not forgotten as it is the best hope against history repeating itself. Join us on Saturday November 24th, 2018 to commemorate this significant anniversary! Don’t forget to join us on November 24 as we commemorate the Holodomor: the lives, and memories buried in history’s best-kept secret. Please give yourself extra time to attend the Commemoration as there will be the Grey Cup Parade between 11:30-1:30. The parade will start at Jasper Ave. and 108 St. at 11:30 am, turning left at Jasper Ave. and 101 St. and will end at 103 St. and 103 Ave. Parking will be restricted, alternate parking can be found at the CN Tower, EPCOR Tower, the Edmonton Public Library, as well as underneath City Centre Mall and City Hall.